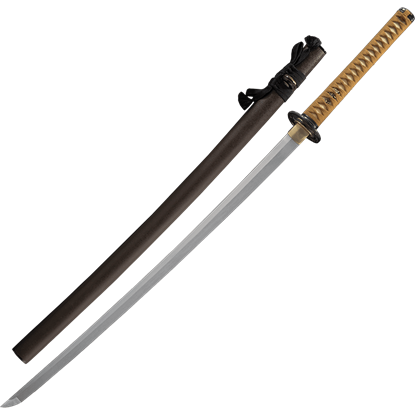 With its slick, black blade and fearsome dragon detailing, this handmade katana looks like a weapon to be reckoned with. 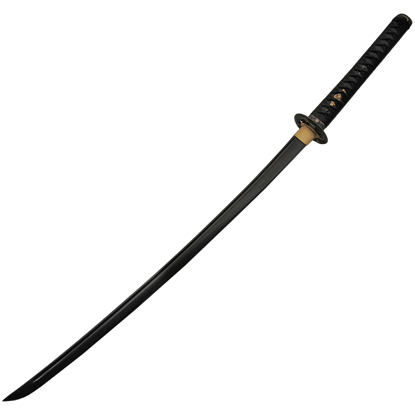 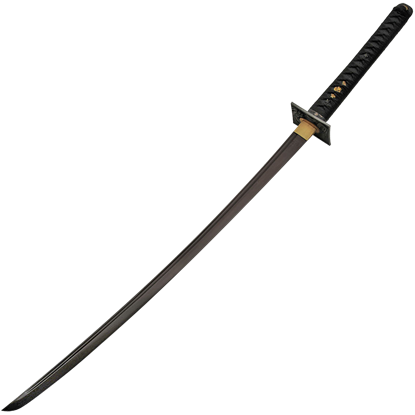 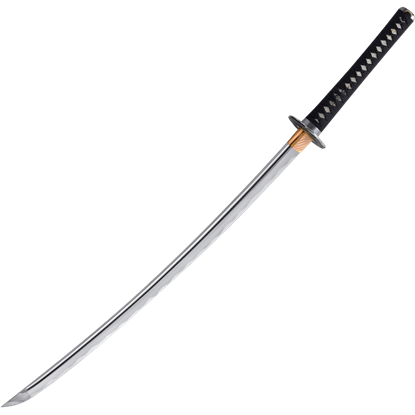 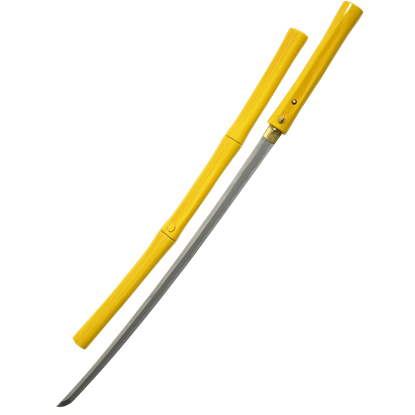 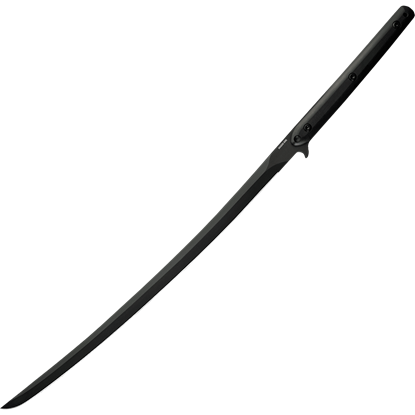 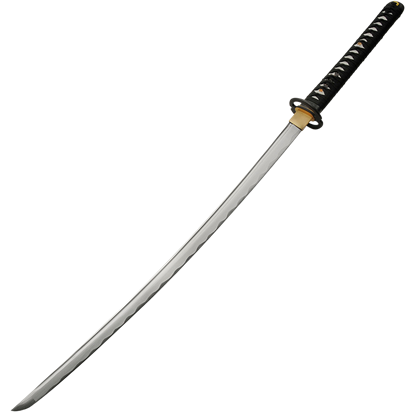 The Black Blade Dragon Katana is made in a traditional samurai style, with a thin, curved blade and ornate tsuba. 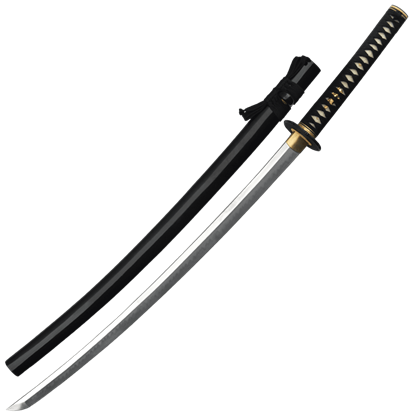 A fearsome, serpent-like dragon curls around this handmade carbon steel samurai sword, forming its round, black metal tsuba, or guard. 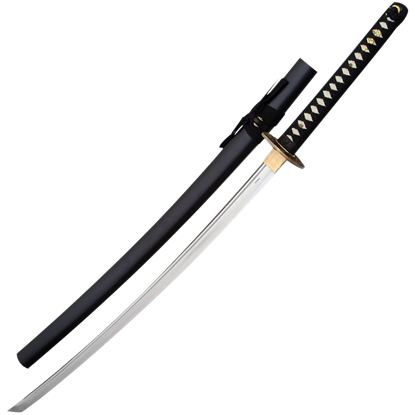 The Black Blade Snake Dragon Katana is a remarkable take on traditional Japanese sword styles. 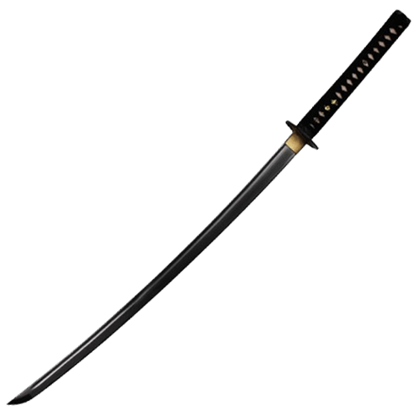 The tsuba, or guard, was typically the most ornate part of a samurai sword. 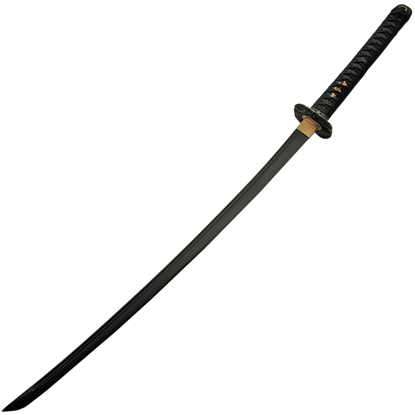 Crafted by hand and with a blade made of carbon steel, the Black Circle Tsuba Katana is a remarkable display weapon with a unique, circle-shaped tsuba.